In what will likely prove to be the biggest constitutional challenge in our lifetimes, POTUS Donald Trump is preparing to issue an executive order ending so-called “birthright citizenship,” which the Democratic Left has exploited for decades in its relentless effort to encourage more illegal immigration and more voters. According to a report at Axios which was based on an interview with POTUS Trump for the site’s new cable TV show, “Axios on HBO,” the president said he has consulted with his legal team and has determined that he has the authority to end birthright citizenship of babies born on U.S. soil to non-citizens and unauthorized immigrants. “It was always told to me that you needed a constitutional amendment. Guess what? You don’t,” the president said, adding that he could do it by executive order. Axios pushed back, however, saying that is in dispute among constitutional and legal experts. “You can definitely do it with an act of Congress. But now they’re saying I can do it just with an executive order,” POTUS responded, according to Axios. “We’re the only country in the world where a person comes in and has a baby, and the baby is essentially a citizen of the United States … with all of those benefits,” he continued. “It’s ridiculous. It’s ridiculous. And it has to end. Opponents of the president’s order – and they will be legion – argue that the Constitution’s 14th Amendment is clear on the issue that anyone born on U.S. soil automatically becomes a citizen. However, that opinion has never been legally challenged. When it was written and ratified, the amendment was intended to convey citizenship to former slaves who were brought in mostly from Africa. And for more than a century, that provision of the amendment laid dormant. But beginning in the late 1980s and continuing to the present day, the Democratic Left has used the provision as a means of importing future voters largely from Latin America. So-called “anchor babies” who become citizens at birth are then joined by parents and other family members who come into the U.S. through the back door of the immigration system. It’s a scheme that has worked well for Democrats but not so much for taxpayers. “Anchor babies born to illegal aliens instantly qualify as citizens for welfare benefits and have caused enormous rises in Medicaid costs and stipends under Supplemental Security Income and Disability Income,” wrote Madeleine Pelner Cosman in the Spring 2005 issue of the Journal of American Physicians and Surgeons. John Eastman, a constitutional scholar and director of Chapman University’s Center for Constitutional Jurisprudence agrees. 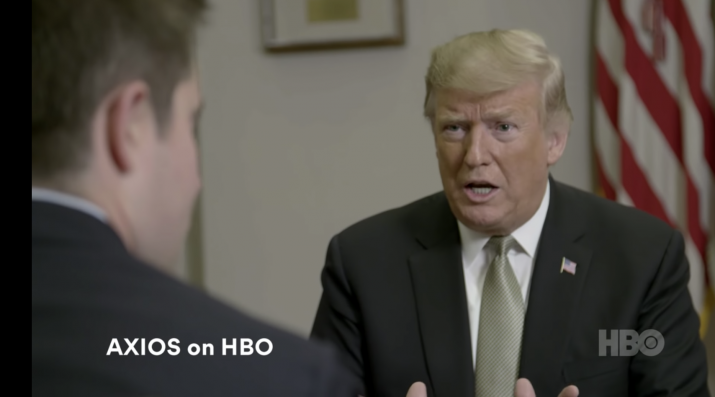 He told Axios on HBO the phrase originally pertained to those who have full, political allegiance to the United States, which includes citizens and green card holders. The U.S. Supreme Court has ruled in the past that children born to legal permanent residents who are immigrants have citizenship, Axios reported. But those who support POTUS Trump note that the high court has never ruled specifically on the citizenship of a non-citizen and illegal immigrant. But it’s about to, that you can be sure of. Read more about POTUS Trump’s policies at WhiteHouse.news.